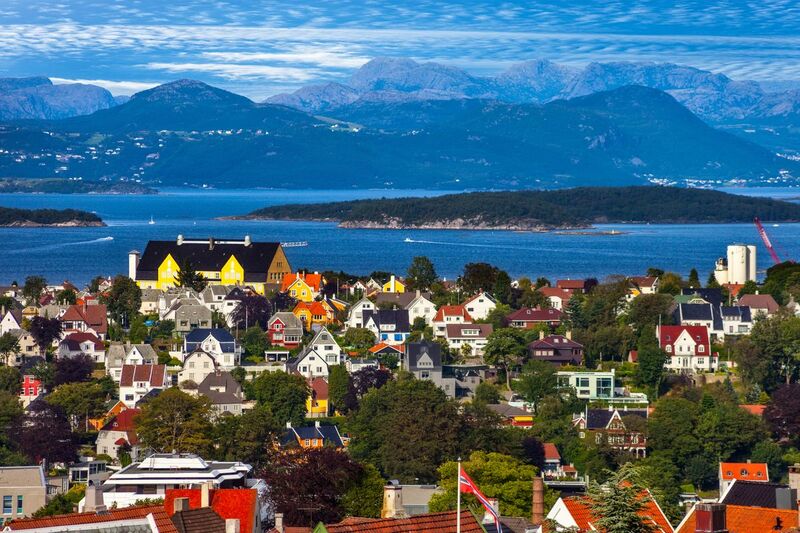 as Stavanger is surrounded by forested mountains, stunning fjords and deserted beaches. As most of its year is spent in darkness, the city has developed a jumping nightlife scene, centering on bars rather than dance clubs. Don’t be left out as young and old alike join in cozy revelry. A colorful town from western Norway. Expensive, yet charming and welcoming. This is the ideal hub to get to famous Norwegian landmarks Preikestolen and Kjeragbolten. Nice small city with a deep water port, no tendering necessary. The petroleum industry has made this town what it is. Has some areas with old wooden buildings, now housing. Nice shopping area (except on Sundays), free WiFi at the tourist office. If you enjoy eating fresh caught salmon, picking wild berries, and hiking to hidden waterfalls then Stavanger, Norway should be your next destination. In town you can follow the cobblestone paths to warm wooden taverns that serve local and European spirits. Most places have a crackling fireplace. If you visit Stavanger during the summer months of July and August, you can sit at the dock and experience the Nordic breeze. It is never too hot, but if you need to quench your thirst, try a glass of their famous "Eventyrin" translated to Fairytale wine. You will feel the "happily ever after" in this Nordic land, and you will have your own fairytale to share after visiting Stavanger.